American MotoGP racer Nicky Hayden has arrived in Bologna, Italy as he prepared to launch the new addition to the Monster Art series – two race tribute paint schemes for the Monster range. 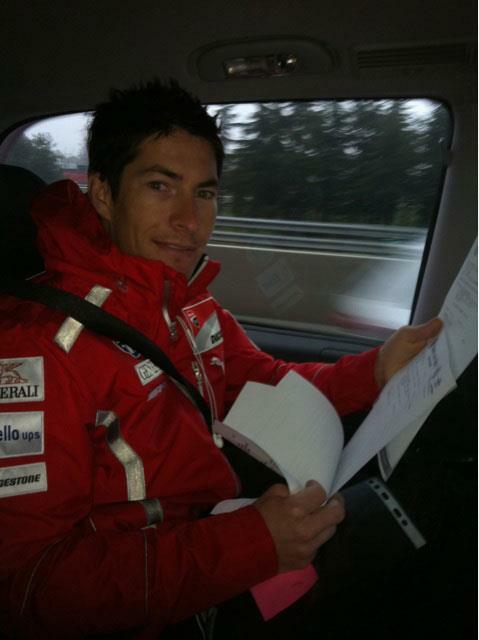 This picture was taken in the back of the car as Hayden was collected from Bologna airport and he is reading through his schedule for the day. The Ducati MotoGP Night is expected to attract more than 50,000 Ducati and Valentino Rossi fans to the city as they officially send the riders and team off for the start of the MotoGP season on March 20. Ducati yesterday revealed both a Hayden and Rossi tribute bikes. Ducati says: Starting from early evening, the huge event promises a packed program of entertainment with a concert and star-studded line-up of VIPs joining in the Ducati party until the riders appear on stage with the Desmosedici GP11 at 9pm. 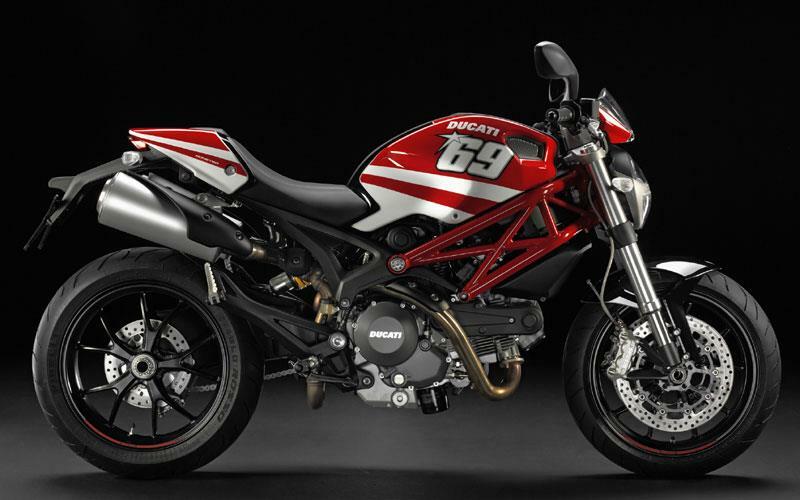 The celebration, in Bologna’s Piazza Maggiore, is intended to be a passionate send-off to the Ducati Marlboro Team just prior to their first race of the year in Qatar later this month, and as the two factory riders appear on stage to greet an expected 30,000 fans, the new Monster Art GP Replica schemes will also be presented.